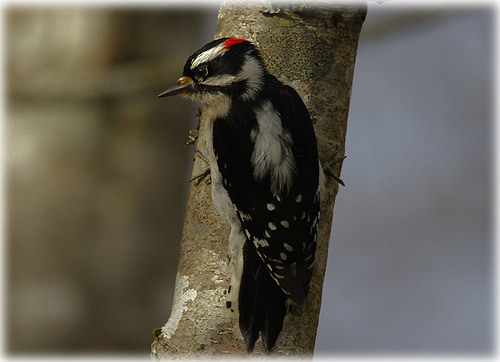 This male Downy Woodpecker was photographed in the Ketchikan Creek area. The free Friday night Insight program on April 15th at 7:00 PM at the Southeast Alaska Discovery Center is “Photographing Wild Birds” presented by local photographer Jim Lewis. There will also be a Bird Walk on Saturday (April 16th) around downtown Ketchikan -- Interested Bird Walkers will meet at the Discovery Center at 8:00 AM. Alaska: Positive Impacts of SBA 8(a) Program Defended; Indian Affairs Committee hearing focuses on successes of SBA 8(a) Program -At the request of U.S. Senators Mark Begich (D-AK) and Daniel Inouye (D-HI), the Senate Indian Affairs Committee held a hearing last Thursday to highlight the successes of the SBA 8(a) Business Development Program. Entitled Promise Fulfilled - the Role of the 8(a) Program in Enhancing Economic Development in Indian Country, the purpose of the hearing was to highlight the positive impacts of Alaska Native Corporations (ANC), Native Hawaiian Organizations, and Indian tribal entity participation in the program. Panelists included Alaska Federation of Natives President Julie Kitka, National Congress of American Indians Executive Director Jackie Johnson-Pata, Coeur d’Alene Tribe Chief James Allen and representatives from the Small Business Administration. Sen. Begich pointed out although there have been major advancements for Alaska Natives in the last several decades, steep obstacles remain including gas costing upwards of $10 per gallon in many rural areas; 46 communities across the state still relying on “honeybuckets”; one-third of rural communities still haul water from a community source; and 20 percent of Alaska Natives continue to live in poverty. Begich emphasized many of the companies involved in the 8(a) program play an important role as taxpaying businesses, creating jobs and boosting local economies. “This is not an entitlement. It’s not a hand out. It’s a step to help create opportunity,” Begich said. Sen. Begich said the SBA should be recognized for its rigorous tribal consultation process to ensure the needs of Native participants in the 8(a) program were recognized and previous loopholes closed. The SBA had a number of tribal consultations and discussions with impacted communities, which helped to shape new regulations designed to better serve both the government and contractors. In prepared testimony Joe Jordan, SBA Associate Administrator, Government Contracting and Business Development, identified the extensive work done by the agency to have a thorough tribal dialogue and consultation in line with the President’s Executive Order on Native Consultation. Ketchikan: FIRST BANK HONORED WITH ABA COMMUNITY BANK AWARD - First Bank has been nationally recognized for its community outreach efforts by the American Bankers Association. First Bank was awarded for its endeavors in the Encouraging Volunteerism category for their Community Service Award Program. Sheila Kleinschmidt, Vice President and Community Development Officer and Michael Medford, Vice President and Community Reinvestment Officer, receive the American Banker Association award given to First Bank for Encouraging Volunteerism within their communities. The ABA selection committee awarded 9 banks from a field of more than 180 nominations across the nation based on the innovation, creativity and effectiveness of the bank’s approach to making a difference in its community. “First Bank is honored to receive this award which represents our commitment, passion and leadership to our communities in Southeast Alaska throughout the year,” Michael Medford, Vice President and Community Reinvestment Officer for First Bank said. BOB CIMINEL: Fukushima Daiichi and the Black Swan - With regard to the nuclear power plant accidents that have occurred over the last 30 years, the events at the Fukushima Daiichi (1) station may go down as the worst because of the extensive media coverage, which is orders of magnitude greater than the coverage of the Three Mile Island and Chernobyl accidents in 1979 and 1986. The media was quite different in those days. Television newscasts were provided by three major networks, ABC, CBS, and NBC (Ted Turner’s CNN network did not appear until 1980). Breaking news was provided by radio stations, and what we call in-depth reporting came from newspapers and magazines. TOM PURCELL: Tax-Time Miseries - Boy, are accountants going through a rough patch now -- even rougher than we taxpayers are.